Concrete Restoration Systems is a fully licensed and insured specialty contractor with decades of experience repairing and restoring concrete buildings, floors, walls, driveways, balconies, decks, stairs, and more. We also specialize in applying waterproofing systems and decorative concrete finishes. To provide our clients throughout Riverside County with long-lasting, high-quality results, we always use the industry's best practices and products. 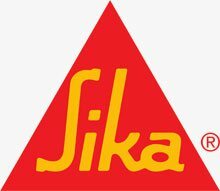 We use concrete repair and protection systems made by leading manufacturers, Sika, SealBoss, Master Builders Solutions by BASF, Tremco Inc., and WestCoat, and receive ongoing training to ensure that we're aware of the latest technologies. Since 1990, we've served thousands of satisfied residential, commercial, and industrial clients. 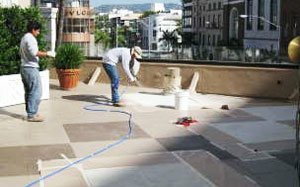 Our honest business practices, exceptional workmanship, and competitive rates have earned us the reputation as the best value for concrete restoration and repairs in Southern California. We welcome jobs of all sizes, and provide free on-site consultations in Riverside, Jurupa Valley, Corona, and other nearby cities in Riverside County. 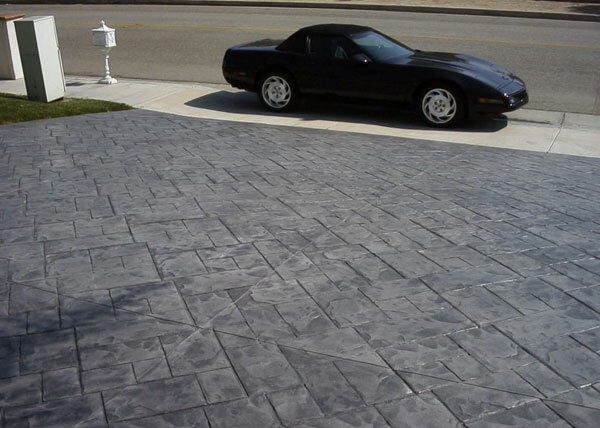 Whether you have a small cracks in your driveway or major structural damage, give us a call today at (714) 996-3177. 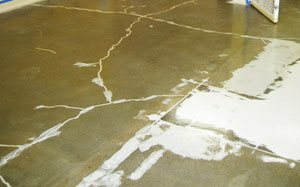 Over the last 28 years, the concrete repair experts at Concrete Restoration Systems have built a reputation throughout Riverside County for offering the best value in concrete repair services. Corona, Riverside, Jurupa Valley, and surrounding area property owners are welcome to reach out to us for concrete repair work of any kind, from repairing superficial concrete damage to repairing large cracks in slab concrete. We offer competitive rates for high-quality repairs on concrete driveways, sidewalks, pool decks, industrial floors, balconies, exterior walls, basements, foundations expansion joints, and more. Whether the damage is due to daily wear and tear, water damage, ground settling, or an earthquake, Concrete Restoration Systems has the skill and knowledge to provide the right solution for your property. Our concrete repair services include cleaning and treating corroded rebar, filling cracks with epoxy injections, patching larger holes or cracks with fresh concrete, and applying a protective waterproofing system. Call today for a free on-site quote. 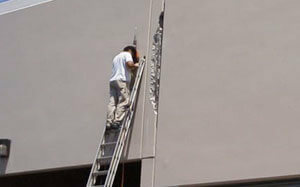 Call today to tell us about your structural concrete damage needs. 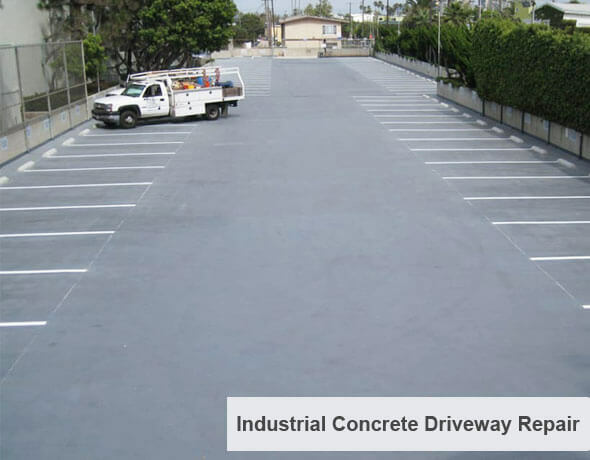 The experts at Concrete Restoration Systems have decades of experience providing professional concrete restoration services to Riverside County's home and business owners. We've restored all types of concrete structures including historical buildings, hotels, concrete floors, walls, balconies, patios, stairs, and more. 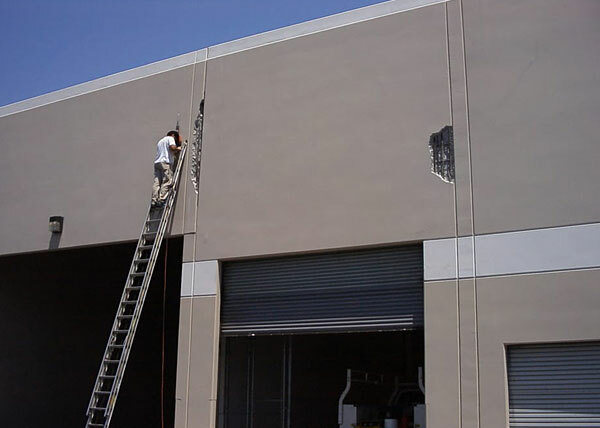 When restoring a concrete surface our goal is to repair any underlying damage to ensure structural integrity, then we restore the visual appearance by sealing and buffing the surface to eliminate any sign of prior damage. In addition, we also offer waterproofing services to provide protection from water seepage and subsequent water damage. Call (714) 996-3177 today to speak with one of our concrete restoration specialists and schedule your free on-site consultation for concrete restoration in Corona, Riverside, Jurupa Valley, and surrounding cities. 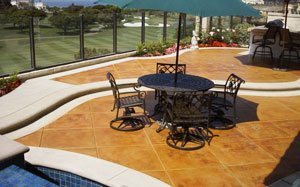 Decorative concrete coatings provide functional and aesthetic benefits for residential, commercial, and industrial properties. At Concrete Restoration Systems, we have over 28 years of experience applying decorative concrete coatings to garage floors, patios, driveways, walkways, concrete steps, and more. 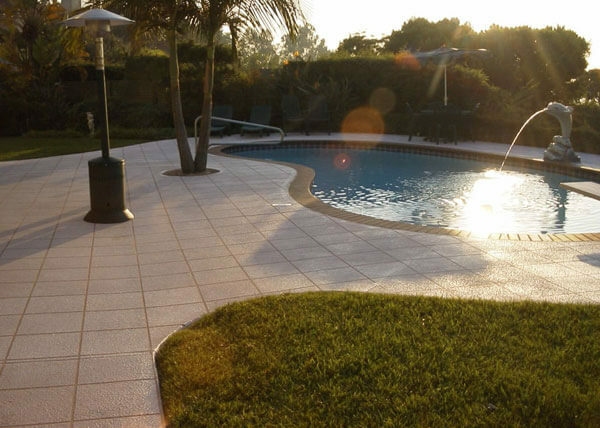 Whether you're looking for a non-slip warehouse floor coating or a faux stone pool deck coating, we can be your go-to source for all your concrete decorative coating needs in Riverside, Corona, Jurupa Valley, or other city in Riverside County. 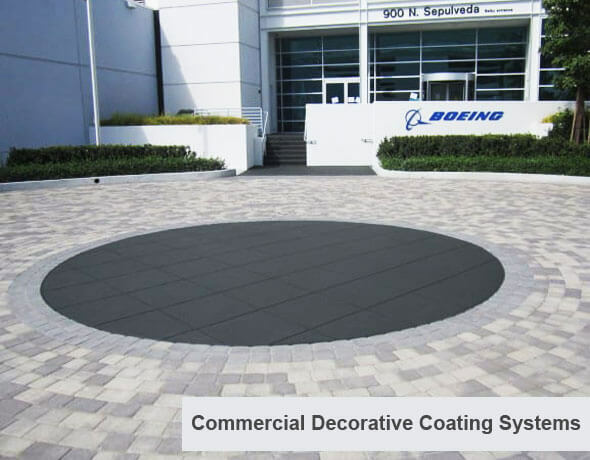 We use the best coating systems on the market and offer a variety of colors and patterns to deliver a concrete coating that meets your specific needs and design preferences. Additionally, we can repair cracked or deteriorating decorative concrete. Our attention to detail, exceptional service, and lasting results have earned us a reputation as Riverside's trusted source for decorative concrete services. 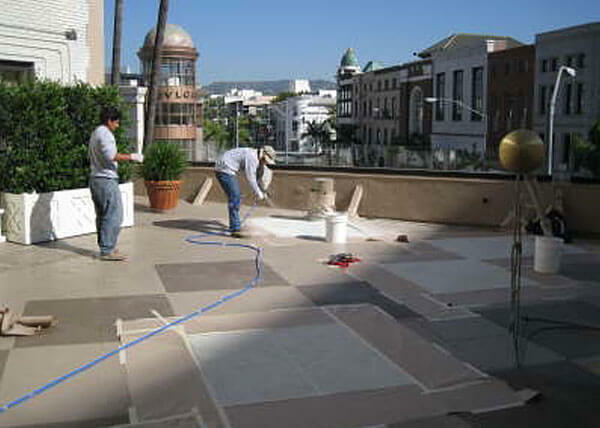 In addition to concrete repair and restoration, we also offer professional waterproofing system application. Our waterproofing services are suitable for a range of wood and concrete surfaces including basements, garage floors, warehouse floors, parking structures, concrete steps, decks, railings, support beams, and more. Before applying a waterproofing system, we always assess the structure for any existing water damage and provide repairs when necessary. We only use the best waterproofing systems made by the industry's most reputable manufacturers to ensure that our clients receive optimal protection for years to come. Our waterproofing applications last for 5 to 10 years, but should be reapplied every 5 years for the best results. We provide free on-site consultations for waterproofing services in Jurupa Valley, Riverside, Corona, and surrounding cities.